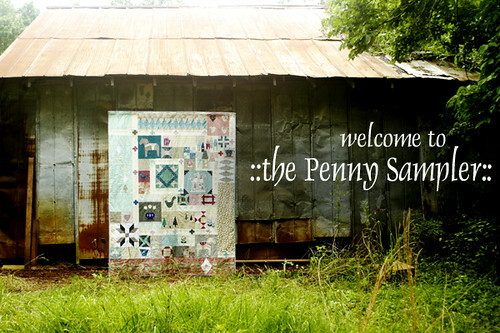 Have you seen the Penny Sampler class over at Stitched in Color? I’m a pretty big fan of Rachel’s, so of course I was “in line” (online) early the morning registration started. This quilt is truly epic- the kind of quilt that takes real time and effort and ends in supreme satisfaction. I am so excited to get started. I’m toying with the idea of making 2 of these… Or maybe just making the main blocks each twice and using them in some gifts. It seems like it’s hardly any more effort once you get each block figured out. The lovely Laura from Little and Lots had the brilliant idea to do Christmas colors. It’d be fun to do a second set of blocks and use them for Christmas presents. 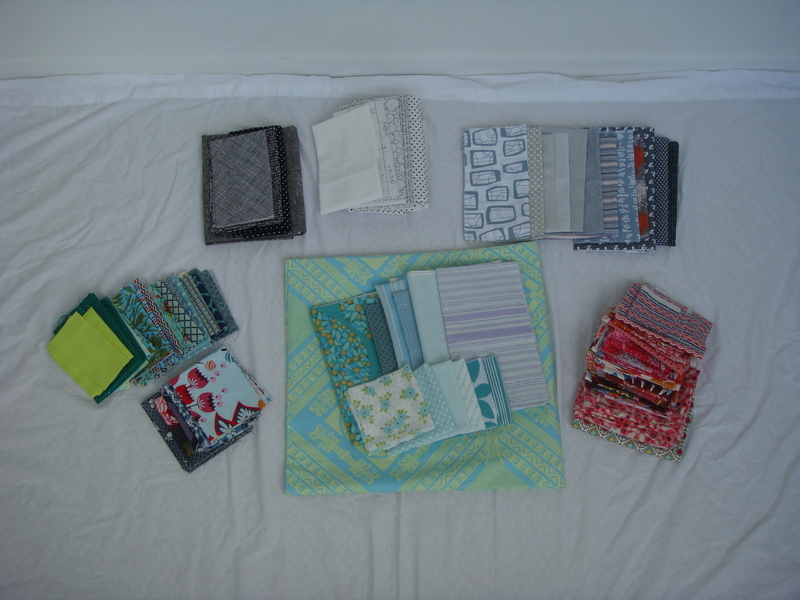 First things first though: I have to gather my first fabric pull for the project. 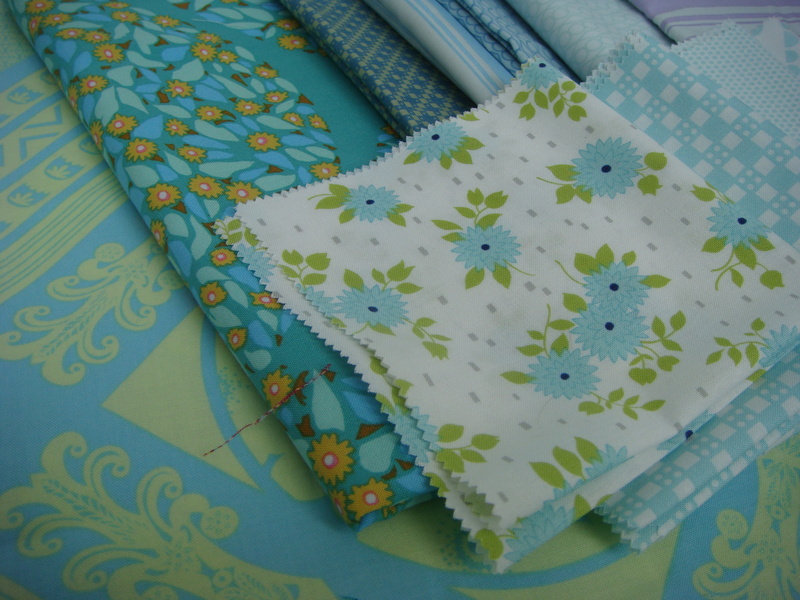 I’ve said it before and I really believe it: fabric selection is the most important part of making a quilt. 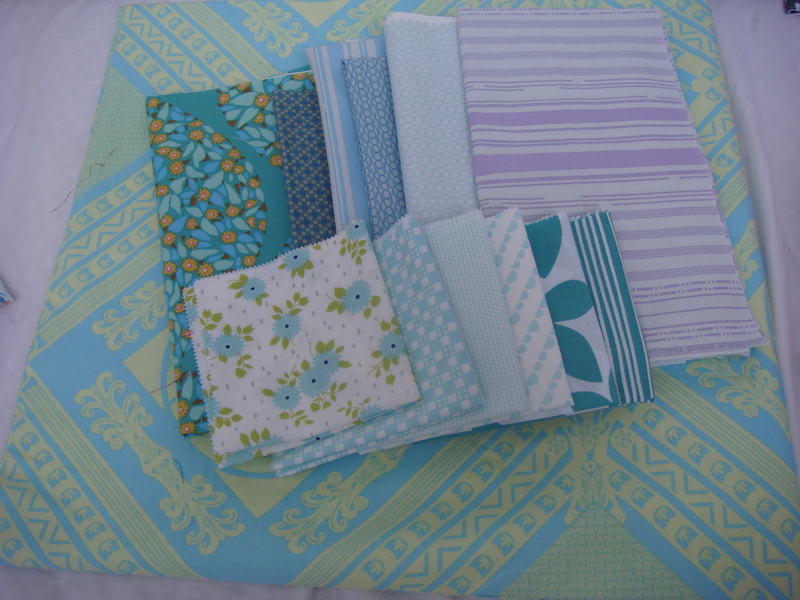 The first picture shows the main scheme I’m thinking: teal, turquoise and pool blue. The second shot shows backgrounds (black, white, and every shade of gray from barely gray to deep steel blue gray) as well as accents (pink and orange). My backgrounds are all prints- I’m loving texts especially right now. 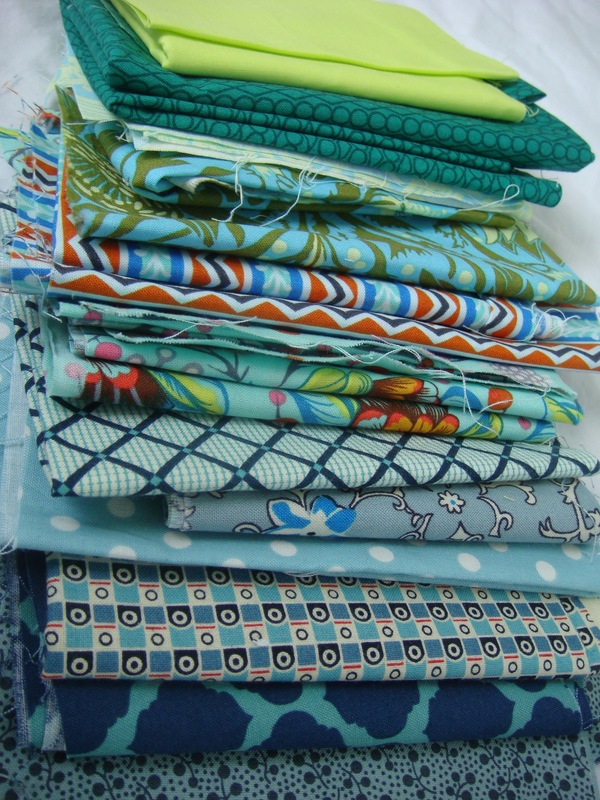 Obviously this fabric pull is a big shout out to Anna Maria Horner, probably because I’m a little enamored of her. If you’re really observant you may have noticed that this color scheme is a bit familiar- as seen in this mini and this teacup block. I was somewhat intentionally testing this color scheme when I took on these smaller projects. I like the results in both cases so full speed ahead I guess! Lastly, tomorrow is the last day for the You Show Me Yours I’ll Show You Mine linky party!! If you have been waiting till the last minute don’t forget to link up tomorrow by midnight! 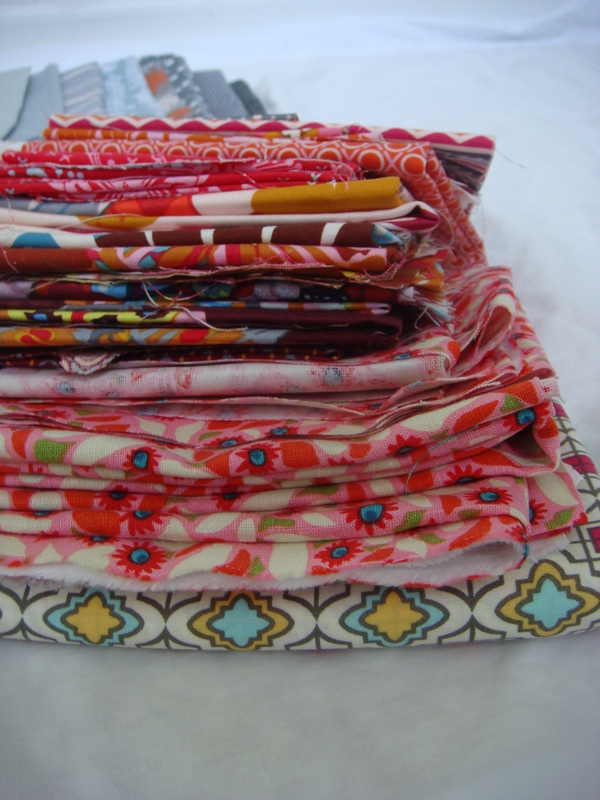 This entry was posted in Uncategorized and tagged fabric choice, Stitched in Color. Bookmark the permalink. Nice pull for this project! I love how everyone is going totally different directions for this quilt. Yours is going to be great, with those pops of reddish-orange. AMH fabric is always, always appropriate. Love these colors. It is nice to have something to take your time on. Everything always feels so rushed and I don’t know why in my head I need to be so fast,lol. Love your pull for this! I desperately wanted to do mine in all AMH… how nice would that be?! Can’t wait to see how yours comes together! !